The Ninth Judicial District Commission on Judicial Performance unanimously recommends by a vote of 10-0 that Judge Denise K. Lynch BE RETAINED. Judge Lynch received a B.A. from Michigan State University in 1979. She received her law degree from the Thomas M. Cooley School of Law in 1982 and graduated first in her class. She engaged in the private practice of law as a trial lawyer from 1983 until 2001. In 2001 she began working as an Assistant County Attorney for Garfield County and continued that work until her appointment to the bench in 2006. Since taking the bench, Judge Lynch began working with a task force in Garfield County formed to address the problem of individuals picked up by law enforcement for issues related to substance abuse, resulting in the task force spearheading efforts to provide treatment and intervention plans for these individuals prior to their release. As a result of the task force intervention, Garfield County has seen a decrease in the same individuals repeatedly being taken into custody for substance abuse issues. 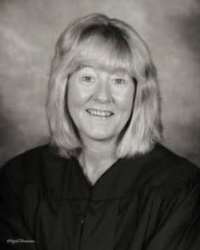 Judge Lynch also presided over Drug Court in Glenwood Springs during the last seven and a half years. Drug Court provides for frequent review and intervention by the judge in order to allow criminal defendants with severe drug and alcohol addictions an opportunity to take advantage of treatment options in lieu of incarceration. Both of the programs have been successful. The survey covers five categories: case management, application and knowledge of the law, communications, demeanor, and diligence. Attorneys and non-attorneys rated Lynch’s judicial performance on a scale from 0.0 (lowest possible score) to 4.0 (highest possible score). The overall average grade from attorneys was 3.38, and the overall average from non-attorneys was 3.58, for a combined overall grade of 3.48. The average combined grade for all district court judges standing for retention in 2014 is 3.50. Only one-third of the appellate judges responded to the survey, and those responding did not provide a comment. The comments from the other participants in the survey included some criticism for a slight bias in favor of the prosecution and some comments about impatience. Attorneys commented that Judge Lynch’s strengths included her diligence and efficiency and particularly appreciate her prompt issuance of rulings. Non-attorneys commented that her many strengths included qualities of fairness, kindness and compassion.